“I’m 45 and I’m still outselling you,” and “I’d rather be 80-year-old me than 20-year-old you." On “Not Alike,” Eminem addressed MGK’s 2012 tweet about Em’s daughter Hailie. In the past, MGK claimed that Eminem has banned him from Sirius XM’s Shade 45 channel in response to the tweet. The week after Kamikaze’s release, MGK dropped “Rap Devil,” a spin on Eminem’s 2013 track “Rap God.” On the song, he took shots at Eminem’s sobriety, age, and career. 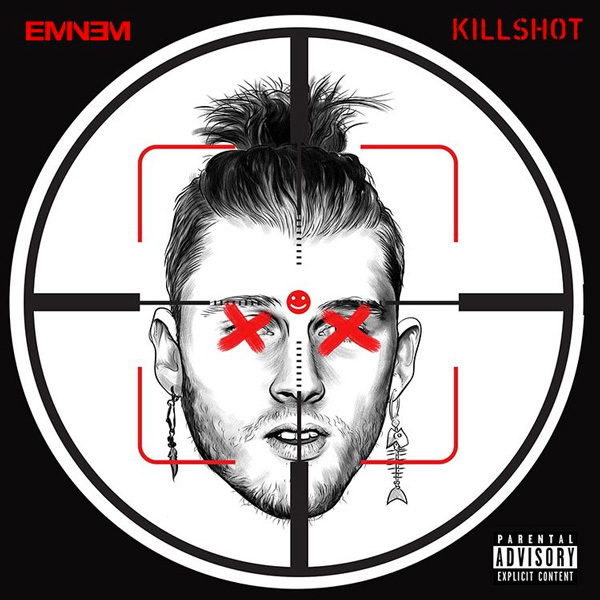 There has been no response to "AUDIO: Eminem – KillShot (MGK Diss) "